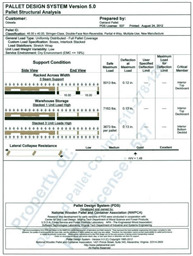 PDS is a computer-aided design program that calculates the least expensive, most effective specifications for your pallet requirements. 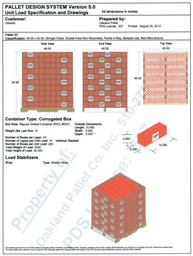 In a nutshell, we can design a new or hybrid pallet that will save you money and that is durable enough to make sure your product gets to its destination. 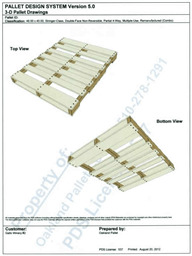 Oakland Pallet can provide a free analysis of a pallet to fit your product needs. Saves Costs by choosing the right materials and design for your job, PDS ensures pallet efficiency and thus saves costs. Is Versatile by creating pallets of all categories, designs, styles, constructions, and wood types. Finds the Best Material with a wide variety of wood species from around the world. It considers any lumber grade, moisture content level, or current fastener type. 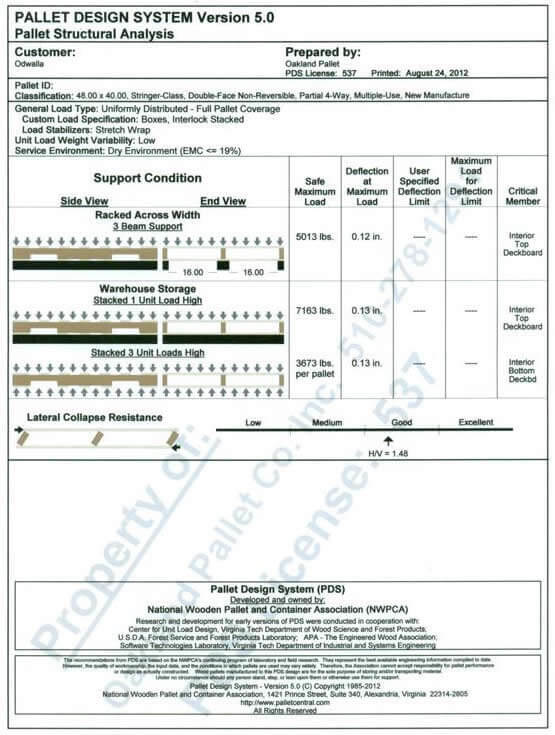 Ensures Pallet Performance by using a detailed description of the unit load and material handling conditions to accurately predict the pallet's load-bearing performance. 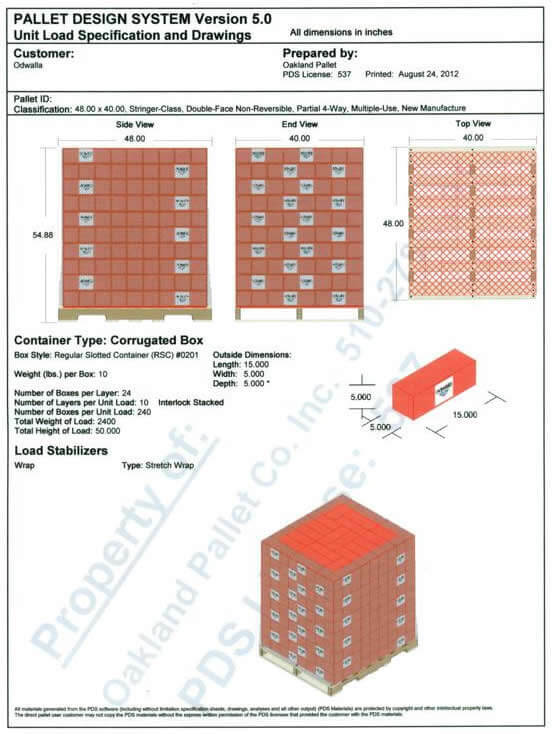 Models Real Scenarios by analyzing how a pallet would perform with any racking system and in stacking configurations up to five pallets high. It also highlights potential weaknesses in real-life conditions. Improves Safety by recommending safety and design improvements to reduce or eliminate product damage, equipment shutdowns, pallet-related injuries, and legal liability. 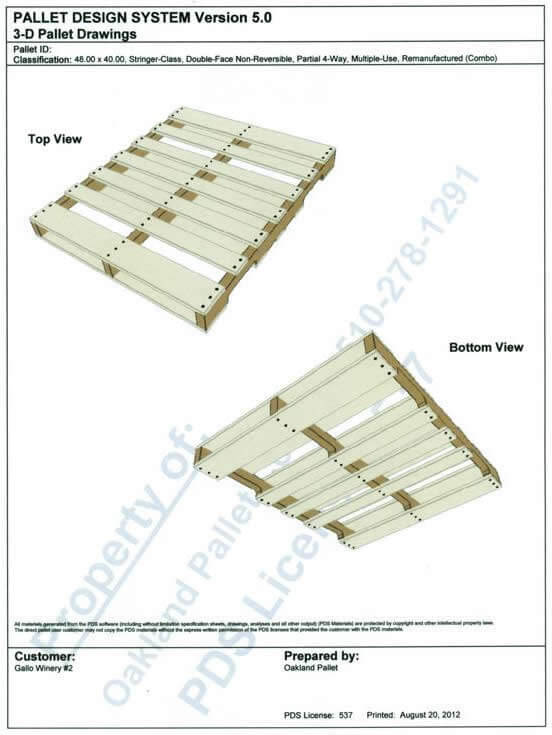 PDS creates a six-page Design detailing the customer's requirements and allows customers to approve their pallet's design before its production.